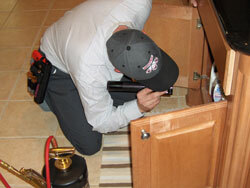 Accutrol eliminates unwanted pests in your home or business, GUARANTEED. 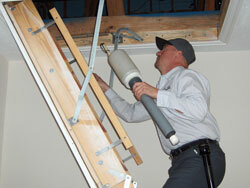 We do a thorough inspection of all entry points and harborage areas. This includes; interior, exterior, attic, garage, and plumbing areas; we will develop a customized service for your home or business. We use top quality environmentally safe products and equipment. To create a pest free environment for the inside of your home or business in a safe and effective manor; we must first treat the interior to eliminate pests. Then create a barrier around the exterior perimeter to prevent pests from entering your home or business. 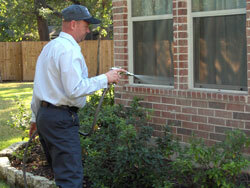 Once we have the pest problem under control maintaining the exterior perimeter regularly is also important. Why? 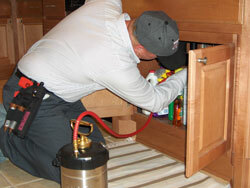 Most all bugs come from outside; and in doing this you keep pests and chemicals on the exterior.